For the thrill seekers and the adventure junkies, we are the people to talk to. 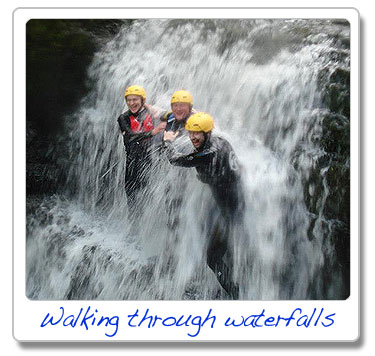 Gorge Walking, Kayaking, Coasteering, Surfing, Rock Climbing & Abseiling, Scuba Diving and raft building and more - we have so many ways to get your blood pumping. Join us one weekend for a weekend of fun or just come along to one activity - the choice is yours. We cater for hen parties, stag parties, school & youth groups and corporate team building.